Just one event left for the 2015 One Lap of America. GT-R's are at 1 and 2. Looks like the 3rd place car from AOK Networking had an issue. Its too bad. We wish them well. Just the Dry Skidpad left. 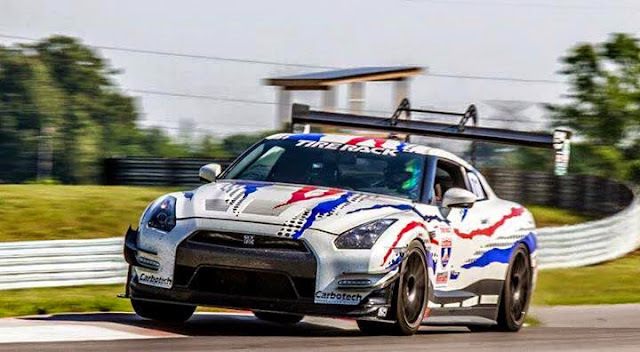 We were joking with Catesby Jones that One Lap might need to make a class just for the GT-R. A GT-R has won overall every year since 2011. Leh Keen and Doug Wilks won in a Porsche GT2 in 2010. A GT-R driven by William Taylor won overall in 2009.